Presenting Barbie Princess Doll Dark Pink Dress: Every girl wants to be a Barbie princess and this fairytale takes on a decidedly different twist. 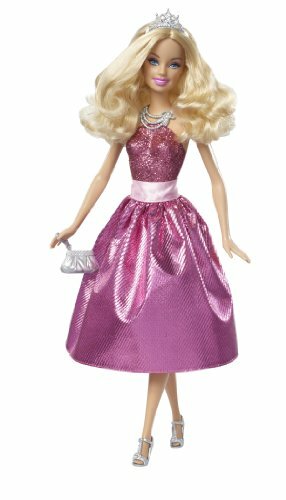 A Barbie princess rules her kingdom with beauty and brains, style and substance, seeking adventures that take her from pink carpet star to hometown heroine to caring for the planet, all in time, of course, for the evening ball. Barbie princesses are dressed in fun, fashionable party dresses covered in glitter and accented with a fabulous tiara.